Gabriela Fulginiti has been selected as an award recipient for the 2015 Summer Research Award! Students will be presenting their findings in oral, poster, and creative presentations. Students considering undertaking research will find this to be an excellent opportunity to be inspired by fellow students. Sponsored by the Center for Undergraduate Research & Academic Engagement, the Showcase is the culmination of the Summer Research Award experience. These awards are a reflection of the University’s commitment to developing students as scholars and innovators and are a testament to the stimulating education undergraduates receive at Florida State. Gabriela Fulginiti is in her senior year pursuing a dual degree in Studio Art and International Affairs, with a minor in Entrepreneurship. She worked with Professor Holly Hanessian on an artistic research project in 3D ceramic printing through the Undergraduate Research Opportunity Program (UROP). 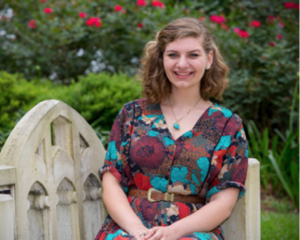 She received the Ranck International Study Award to spend 7 weeks immersed in Hindi study. This summer’s research project was born out of two previous trips to India, where she was a volunteer teaching English. After graduation, she plans to teach English abroad for a few years before getting her masters degree in International Education.